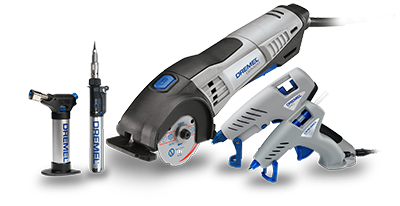 Converts your Dremel tool into a plunge router to rout circles, signs and inlay work, decorative edges and to rout parallel to an edge. Plunge-lock in handle - simply turn handle to lock/unlock. Two depth stops for quick, consistent adjustment of depth. Edge guide and circle guide to rout straight lines and perfect circles. Guide bushing set for letter and pattern template routing.